Sasya is our organic vegetable garden. 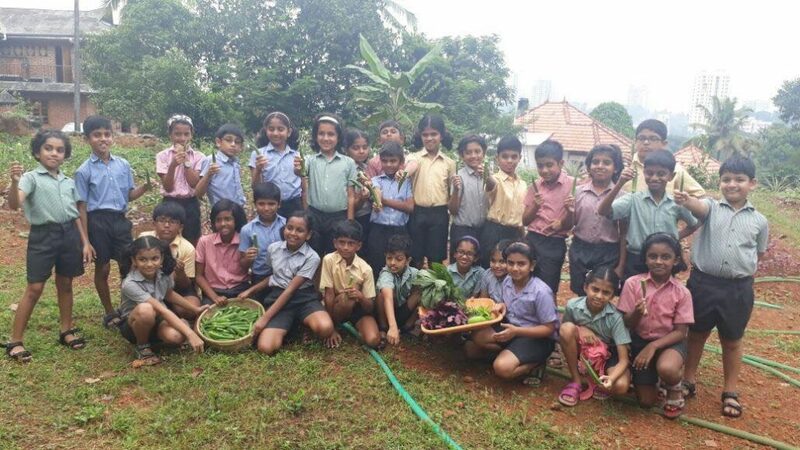 It teaches our students all about the concept of ‘Going Back to Nature’. They gain ‘hands on’ experience in every aspect of organic cultivation ,right from preparing the crop bed and sowing the seeds to harvest the fruits of their labour. Chilli , Brinjal, Lady’s finger, Spinach, String Beans, Cauliflower, Cabbage, Tomato, Ginger, Curry leaves, Ash Gourd, Ivy Gourd and so on are grown at different times of the year. Purely organic manure such as the cow dung and urine of Tanjore polled cattle (an indigenous South Indian variety of cattle), the slurry from the bio gas plant on campus and green manure are the only fertilizers used.